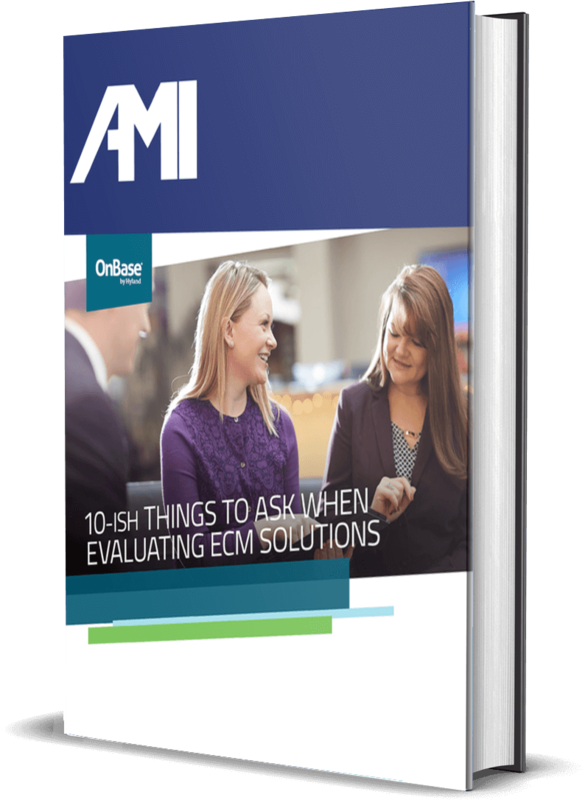 10-ish Things You NEED to Ask When Evaluating ECM Solutions - AMI Imaging Systems, Inc. The right enterprise content management (ECM) solution allows your organization to take control of its documents and information. But like any important purchasing decision, you need to do some research first. How do I find a solution that will meet my needs? How do I know if the solution will meet my needs in the future? What are you waiting for? Fill out the form and start your ECM software evaluation on the right foot!